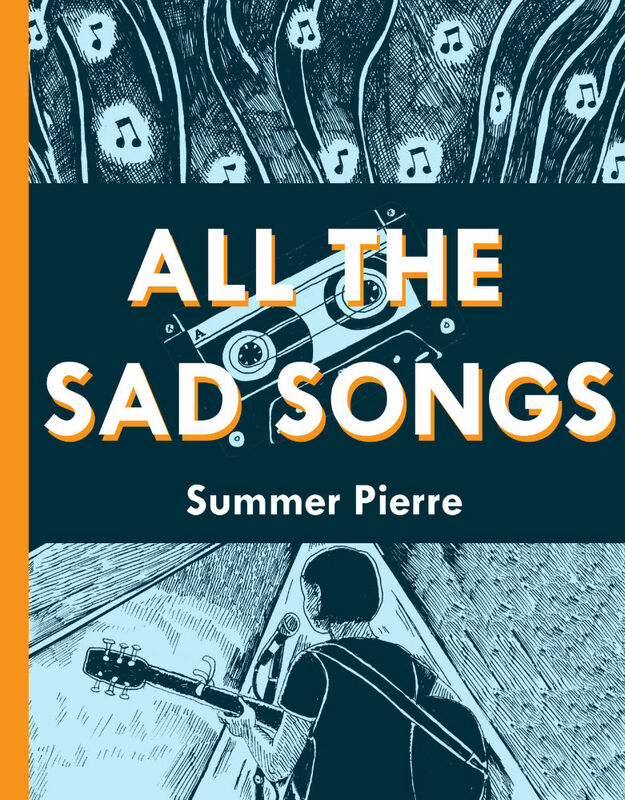 In her first full-length graphic memoir, Summer Pierre (Paper Pencil Life) looks back at the central role played by music in her younger life. As she develops her own tastes and makes her own discoveries, we follow her from making mixtapes for all and sundry in California to becoming a fixture on the Boston folk scene as a singer-songwriter. The journey brings with it the complications of relationships and an unexpected struggle with post-traumatic stress disorder. 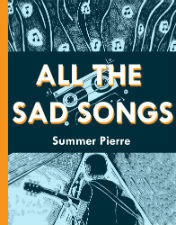 Pierre’s confident, solid style characterises the clarity of her hindsight, cementing the book as a relatable, revealing and rewarding memoir. And, in a very modern touch, you can even listen to the mixtapes mentioned on Spotify. Art appreciators, aficionados and artistes look no further this is the comic for you. 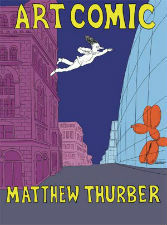 Matthew Thurber’s Art Comic published by Drawn & Quarterly promises a tongue-in-cheek prod at the elitist art world. After Thurber’s cheeky critique of our internet habits in Infomaniacs I am especially looking forward to reading this, I would strongly recommend anyone with one foot in the art world to read this and art students to add it to your book list! 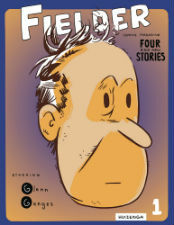 Kevin Huizenga’s cerebral and sometimes challenging work has made him a darling of the comics cognoscenti for years now, most recently through his Ganges series (2006-17), which – among other things – tracked his everyman protagonist Glenn Ganges through his struggle with the singular torture of insomnia. A while back Huizenga posted a cover sketch for a seventh issue of Ganges that looks a lot like the cover of Fielder, so we can probably expect a bit of continuity between the two series. 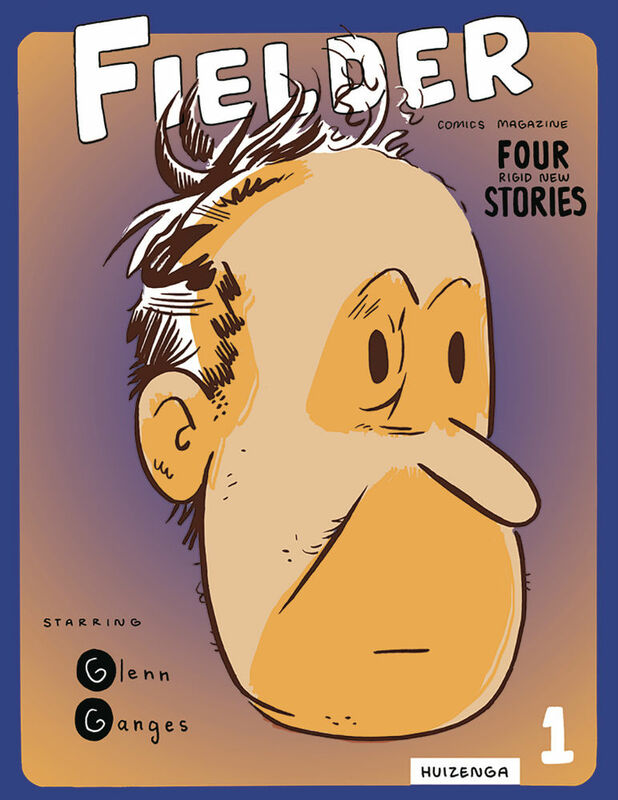 We’re certainly promised the return of Glenn Ganges, albeit in “different genre-bending roles”, starting here with the first chapter of a new graphic novel, Fielder, Michiana. The comic also includes the continuation of his dinosaur adventure comic, Bona, and some of his short Viral Webcomics series. 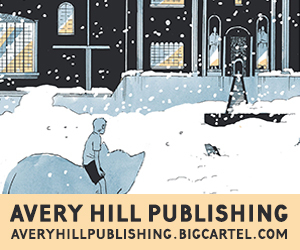 With a new title at a new publisher, this is the perfect opportunity to familiarise yourself – if needed – with an artist who has the capacity to push the possibilities of the comics page as far as they’ll go. We’ve said it before at BF but if there’s one publisher/imprint that seems to consistently get shortchanged when it comes to recognition for their eclectic and always rewarding output it’s Top Shelf Productions (now, of course, part of IDW’s publishing operations). 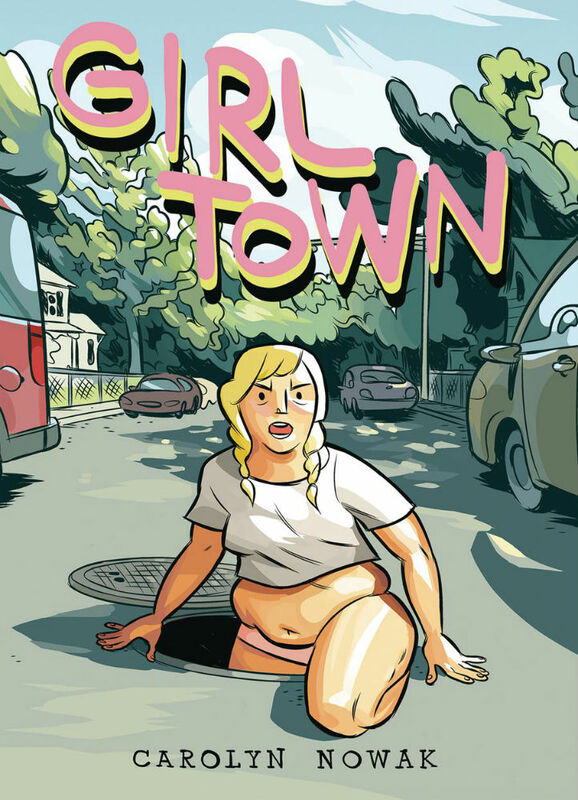 This week they put out a collection of Carolyn Nowak’s comics stories, including the Ignatz Award-winning offerings ‘Radishes’ and ‘Diana’s Electric Tongue’, in the Girl Town trade paperback. From fantasy markets to a robot boyfriend through to a podcast about a film that nobody has ever watched, meet the girls of the titular “location” in this minicomic/short story compilation. 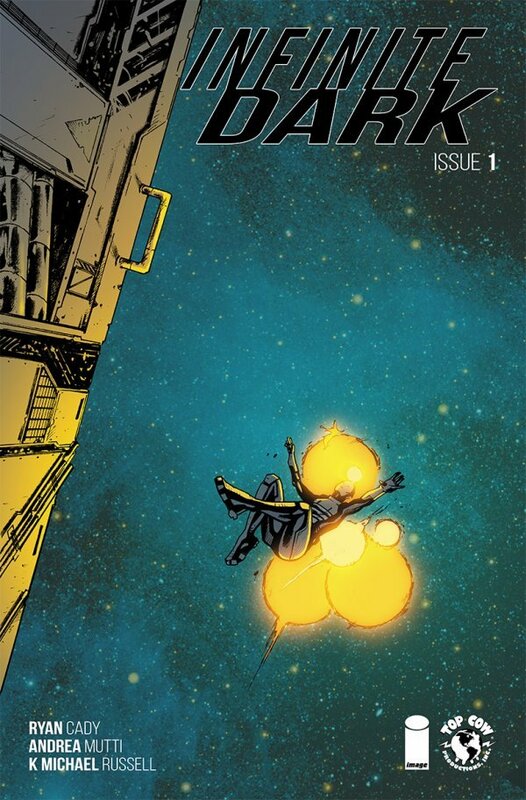 Infinite Dark is a deliciously dark sci-fi/horror/mystery from writer Ryan Cady (Magdalena, Warframe) and artist Andra Mutti (Glitterbomb, Rebels). The universe has ended in the heat death that happened much sooner than scientists predicted. Two thousand surviving humans aboard the void-ship Orpheus await a second big bang or perhaps just another universe to rise. But hope is in short supply, and the undermanned ship is alone and adrift against an endless nothing. Like the ship’s other inhabitants, security director Deva Karrel is suffering from anxiety, depression, and no small amount of survivor’s guilt. And now she has a grisly murder to solve. Accepting, dealing with, and eventually overcoming psychological and physical horror will be running themes in this title, as the characters grapple with the responsibilities of being the last human society and how to deal with the present as they wonder if there will be a future. I’m a huge fan of mysteries and can’t resist a mystery in space. Psychological thrillers in any setting are fascinating, and the dire circumstances aboard the Orpheus should make Infinite Dark an intense page-turner. 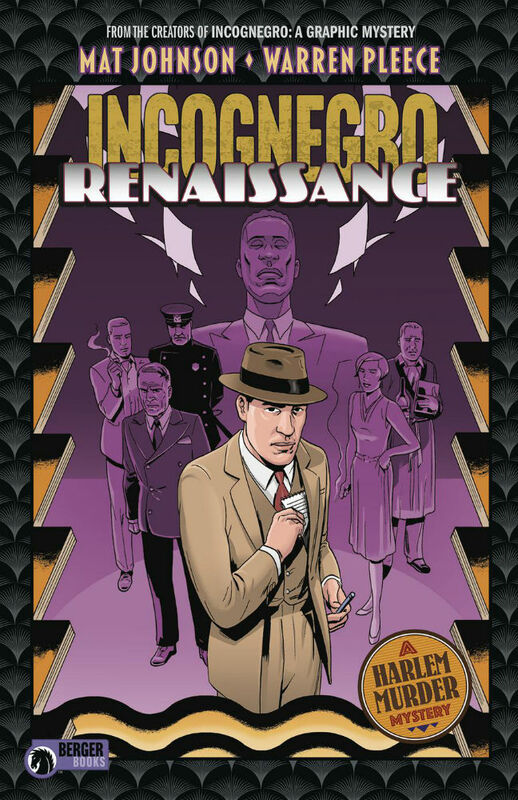 On an obvious, superficial level Incognegro: Renaissance is a twisting, turning period murder mystery set in 1920s New York turning on the convergence of secrets, ambition and scandal. But Mat Johnson and Warren Pleece’s prequel to their critically lauded Vertigo Incognegro graphic novel (recently reprinted by Dark Horse’s Berger Books imprint) is at its core a gripping social commentary on identity, race and segregation. Following rookie reporter Zane Pinchback as he uses his light skin tone to go “incognegro” and investigate the death of a black writer at a party, this collection of the follow-up series is every bit as absorbing and layered as its predecessor. 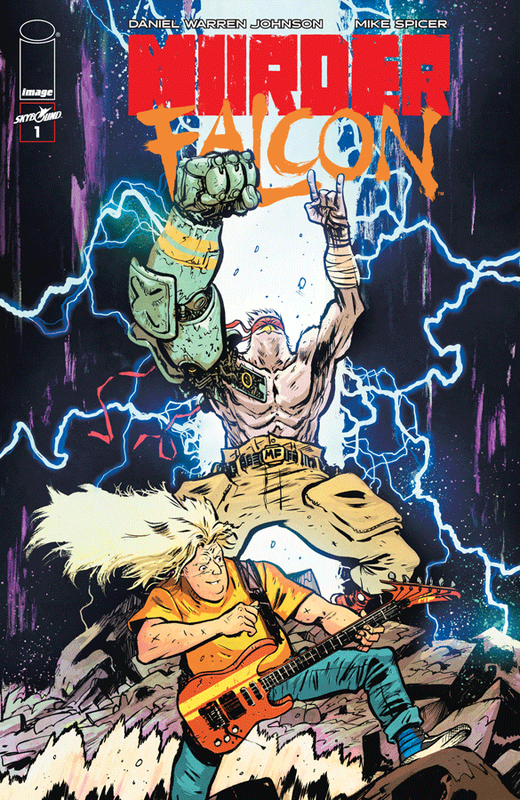 Jake is a disgruntled guitarist without a band or any direction, until he discovers that his guitar is the key to stopping the invaders from “Magnus Khaos.” Every cord he plays fuels the Murder Falcon (large anthropomorphic falcon with a metal arm) with the power to defeat these demons that want to destroy Earth. Jake is going to have to keep shredding in order to save us all. 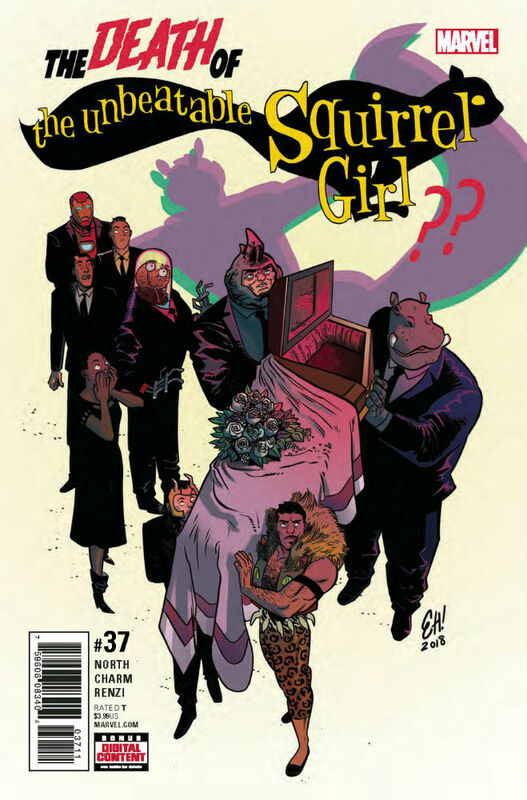 The Unbeatable Squirrel Girl may have lost fan-fave artist Erica Henderson this year but it remains the consistently best serial comic Marvel publish by a mile. Witty, clever, sometimes experimental and above all else fun, it boasts a cast of characters that only those without a soul could fail to embrace and love. Staff Picks for March 2, 2016 – Patience, The Discipline, Lucky Penny, Black Widow, The Unmentionables and More!